I can’t believe how much I loved Legion. A tv show that truly forged new ground in storytelling. Visually stunning with greay acting. I really have nothing to complain about. The fact that it kept me guessing all the way through was clincher. If you’re like me you’ve seen a lot of shows. You know the usual narrative paths and you can usually see where a plot is going so when something genuinely surprises you its a real pleasure. So much so it inspired this post. My first in over a year. Watch it folks. You won’t be disappointed. I thought my last post was a little on the large size so I thought I’d do this story in bite sized chunks. This is THEODORE. Theodore loved being a part of the gang. Okay, so he wasn’t an integral part. They didn’t let him pick locks or chat up the marks. “Too nice” they’d say or he wasn’t nimble or quick enough. Well he was going to show them he could be a full member of the crew. Tonight he would show them all. It was Molly’s birthday soon and he was going to steal her a present she would never forget. The building he was casing was a dull brown. It looked drab and unassuming in the driving rain but inside Theodore knew there was a treasure. He saw the entrance. The foyer shone brightly in the night with security cameras on either side of the glass double doors. From his vantage point he could also see the car park clearly. Only two vehicles left, an ancient rusty blue gas burner and a slightly newer canary yellow hybrid. Every night he had been here, the same two cars were always there, and he knew they belonged to the night shift guards. He checked his internal clock, four AM, traditionally the time of least wakefulness for any human. The air smelled fresh; he loved the way the rain could make the world seem new again-even the rusty gas burner looked more attractive with the rain cleaning it. Theodore slipped across the car park, keeping to the shadows. The area seemed deserted but it paid to be cautious… that’s what Molly always said. He’d decided the best way to get the guards out of the building was to create a diversion. Well, to be truthful he’d seen that on the Holovids and it always worked for them. The two cars were parked next to each other which made it a lot easier for Theodore because he’d only brought one firework.He looked around, scanning the area before pushing the cardboard tube into the yellow hybrid’s exhaust. He couldn’t resist a giggle. He then lit the fuse and moved away at a quick pace back to his earlier hiding spot. The explosion was a lot bigger than expected; the gas burner must’ve had a full tank because the blast wave bowled him over. It even charred a few whiskers on his face. Molly was not going to be pleased. As he picked himself up from the ground he saw two large men running out of the building towards the burning husks. Success! Joy rose up inside him as he watched the men curse and wave their arms around helplessly. It was very funny. The gang was going to have to let him do things now. Theodore did a little dance of glee before picking up his sack and tools. Unfortunately there wasn’t time for him to sneak into the building. He’d taken too long enjoying the guards distress and they had gone back inside. He could see them watching the burning cars from the foyer. It looked like they were calling for help. Darn it! Theodore almost swore. He had missed his chance. He’d better get out of here. The police would be here in force soon enough. He narrowed his eyes and decided to wait. It might be good to know how quickly they responded. Yes, maybe this could work to his advantage. He could always try again tomorrow. It was very late by the time Theodore made it back to the house. They lived in an upmarket part of town. Molly’s father was a curator for the city museum. An important man. Molly was in bed asleep. Theodore had to dry himself off before sneaking in with her. “Mmm you smell funny…” Molly’s eyes were closed but her nose wrinkled a little. “Oh, okay.” She smiled, pulled him closer and kissed him on the head before turning away to fall asleep again. Theodore relaxed, she hadn’t noticed his singed hair. He didn’t need to sleep and so he lay there for the rest of the night planning his next move. First steps and first fiction. It’s been an interesting week so far. My daughter has started walking! Sure, she’s slow and clumsy right now but it’s amazing to watch her face and she’s getting better and better. I’ve also been trying to get my head around writing consistently. It’s not daily as yet but I’m getting some done. I only started writing last year and was looking at some of the stories that I started off with. I’m thinking I might post them in the order that they were written. Perhaps to see the progression(if any) that i’ve made in a year. I’ve heard a lot of podcasts about writing and the process over the last year and I’ve heard that most writers do have a ‘trunk’ novel somewhere that should never be published. Well these stories are my first attempt to get a grasp on storytelling (and my grammar aint so great) so if you comment please remember that. 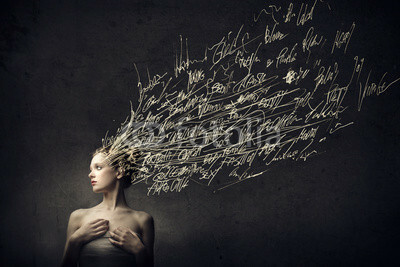 The blogosphere is blowing my mind! I started the week with an idea to start blogging. Easy huh? How hard could it be? I mean millions, literally millions of people are doing it so why not? I was right and wrong. It is criminally, insanely, stupefyingly easy to set up a blog. Writing it is not as easy as all that. The resources here are amazing and I’m impressed by the quality and quantity of things to see and experience. The thing that really blows my mind though is the difference in my thinking over the last three days. I’ve obviously been aware of blogs and all that jazz. I’ve been on the internet before you know, but I had no idea how important they could be. Seriously! I’m not a Luddite, I’m a gadget loving dude who has always managed to fuel my inner tech loving geek with the latest doodad and whatchmacallit. Remember vhs? I had one in my bedroom growing up. Remember ghetto blasters? Yep had one. I even went down the wrong path now and again. Remember minidiscs? I had a Sony player and a lot of Bob Dylan on that bad boy. They were cool but sadly they died a death. Anyway the point I’m trying to make is that I’ve always though of myself as savvy, as moving with the times. I loved the internet and have been using it for about fifteen years. So back to my point. Three days ago I was aware of blogs. I’d even seen one or two. The only way I ever found them was through Google or other search engines. I thought they were ok but so what? The small bit of toe dipping into the world of WordPress I’ve done so far has fundamentally changed my mental paradigm. I feel like there’s a whole new world out there. I feel like a kid locked in a sweet shop over night. There’s just too much to sample. I know what I need to do. I need to discipline myself and take it slow and I will, I promise, but right now I’m giddy with the possibilities open to me. One new problem that occurs to me is finding the time to stop reading new blogs to sit down and write my own! Does that ring a bell with anyone out there? Ah first world problems eh? One thing I am sure of, starting this blog was a good idea, I just hope I can keep it up. Hello and welcome to my blog Digital Scrimshaw. About me…I’m a full time stay at home dad with an 18 month old daughter and a hyperactive dog. I’ve been an actor since 1998 and since my daughter came along my lifestyle has changed a lot. I knew this was going to happen so last year I decided to find a new creative output and so I started writing fiction. It’s amazing to me just how much I enjoy it and how many parallels there are to acting. This blog is hopefully going to help me to develop my writing skills. I hope to post often but there are no guarantees. I’m a big movies, tv, book and scifi fan so I expect to post things in that vein, reviews and whatnot. I may even post some original fiction but I’ll need to up my confidence a bit more. Overall I’ll probably post anything that tickles my fancy. I think that’s enough for now- I expect the blog will evolve as I do.